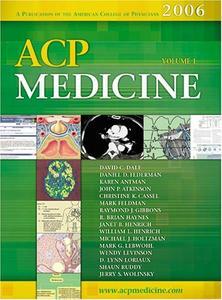 The 2006 bound edition of ACP Medicine is larger than ever, with more than 3000 pages, over 1,100 figures and algorithms, nearly 1,000 tables, and over 16,500 references. Examples of expanded coverage include new chapters on breast mass, pelvic mass, and the Pap smear, which have been added to the Gynecology and Women's Health section, as well as a new rheumatology chapter on fibromyalgia. In addition, cardiac resuscitation and adult preventive care chapters have been updated to include the latest guidelines. Overall, 45% of the material in the book either has been updated or is new.